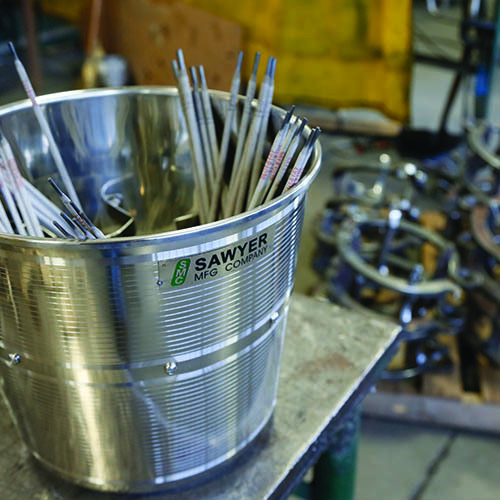 For a simple, dependable welding rod storage solution that’ll last a lifetime, Sawyer’s Welding Bucket is the best there is. This 4.5-gallon bucket is simply enormous. 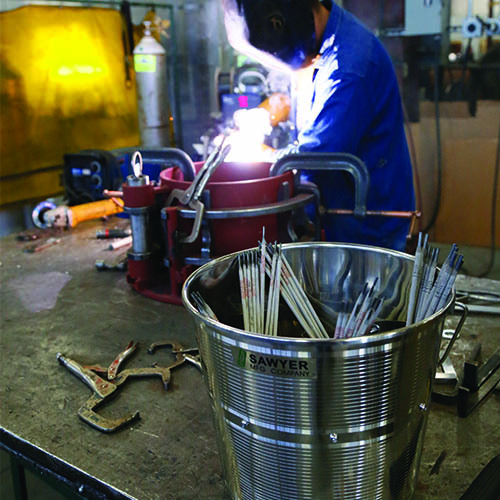 It’s twice the size of most other buckets and has more than enough space to keep all your new and spent welding rods nice and tidy so your work area stays clean and organized. It will easily hold over 500 pounds, and the four pre-formed partitions keep all your electrodes, including 7018 and 6010, separated for easy access. 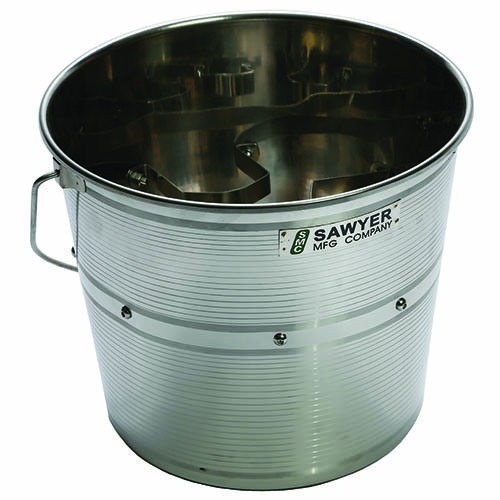 Rather than the typical galvanized buckets that simply don’t last or stand up to abuse, the Sawyer Welding Bucket is made of stainless steel for unmatched strength and durability. It will stand the test of time and remain by your side in the field year after year and job after job. 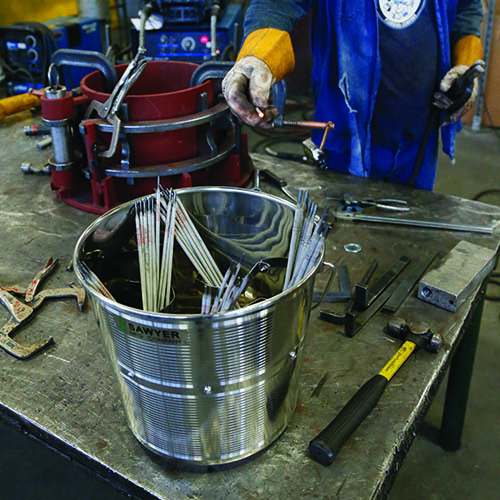 Despite its superior size and toughness, this bucket is also highly portable. 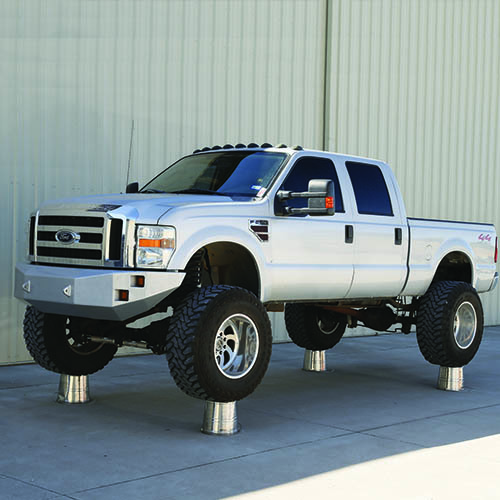 The integrated easy-carry handle ensures simple transportation to and from any site. 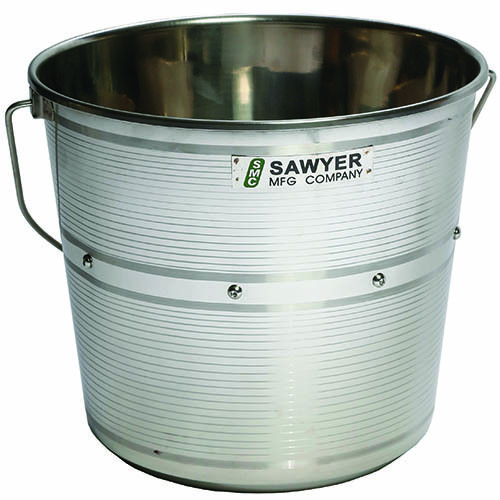 Like all Sawyer equipment, this bucket is well thought out and designed with the end user in mind. 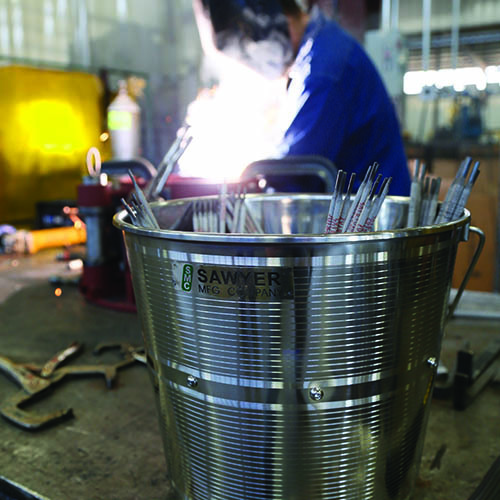 Its elegant simplicity in providing a solution for worksite organization sets it apart, and its incredible strength and stainless steel durability ensures its usefulness for a long, long time. It has it all. 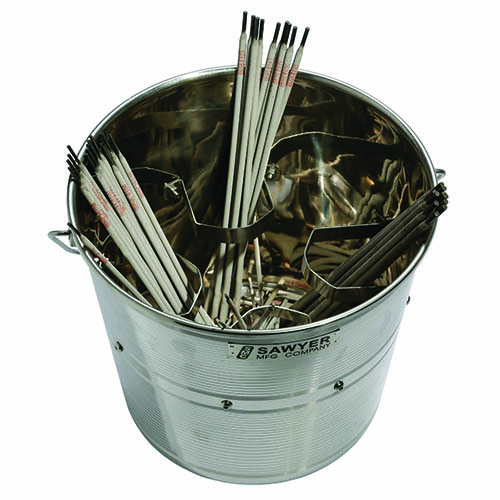 Nothing compares to the Sawyer Welding Bucket.